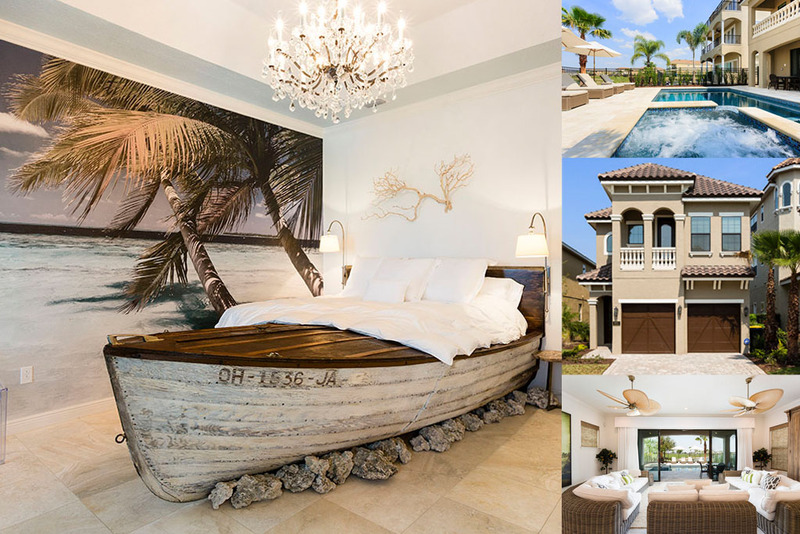 The ultimate 5 bedroom luxury home with an incredible theme in every room!If you love the idea of a real escape from every day life, this spectacular home offers a little touch of magic from the world's greatest settings! 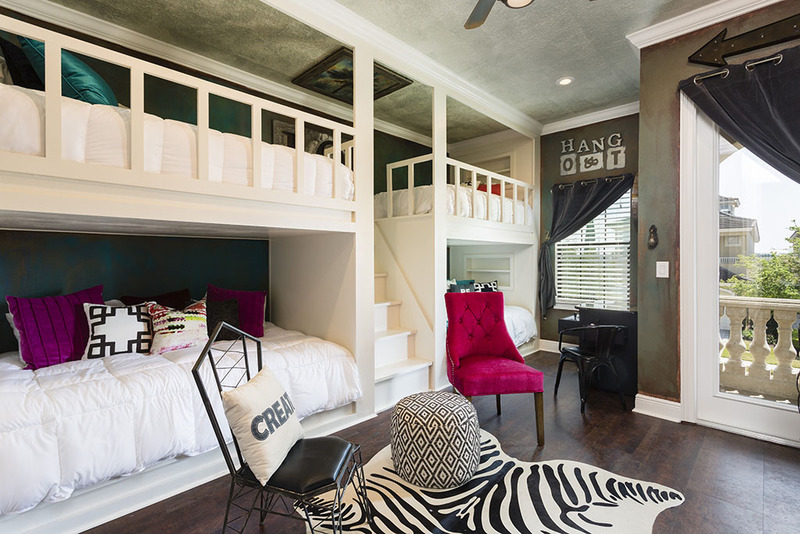 There's even a room that is literally 'Out Of This World!' 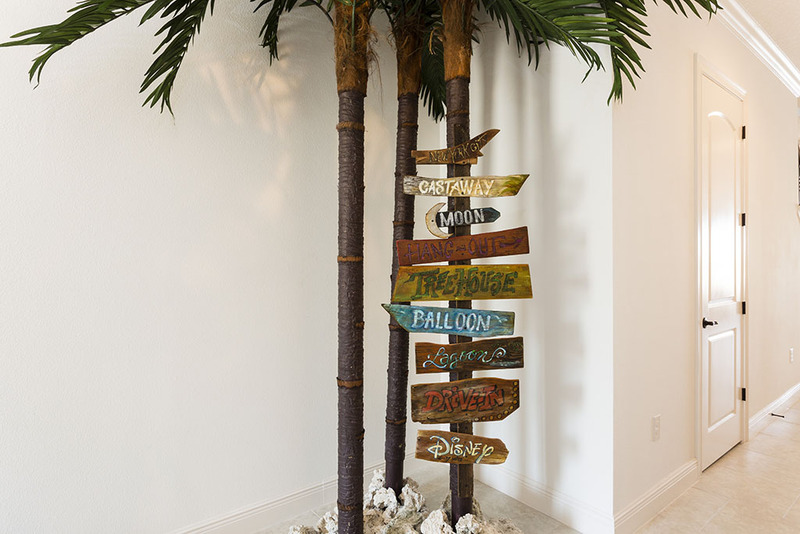 No expense has been spared to create the perfect family retreat, that tastefully brings 'a little crazy fun' to an already fun filled destination! 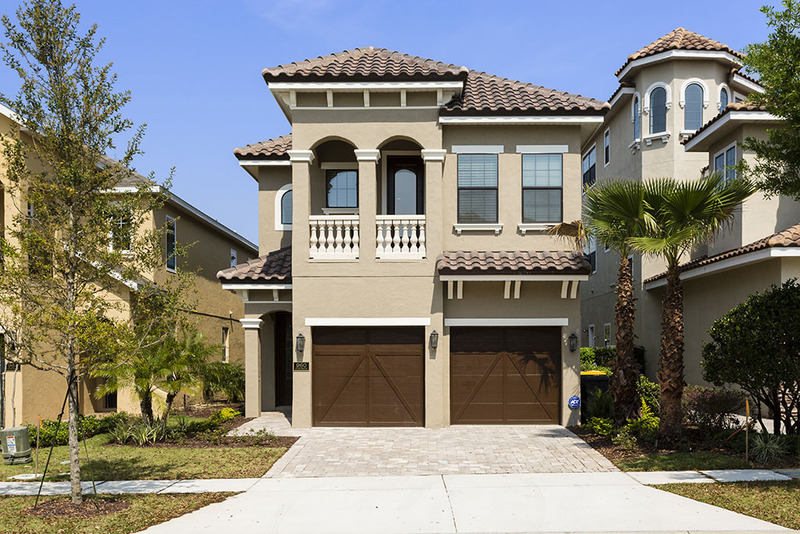 Welcome to Orlando's best luxury home for families that love the adventure of travel Kids of all ages will adore this home, and there's everything adult guests could possibly wish for, thanks to the well appointed living areas and the beautiful outdoor spaces! 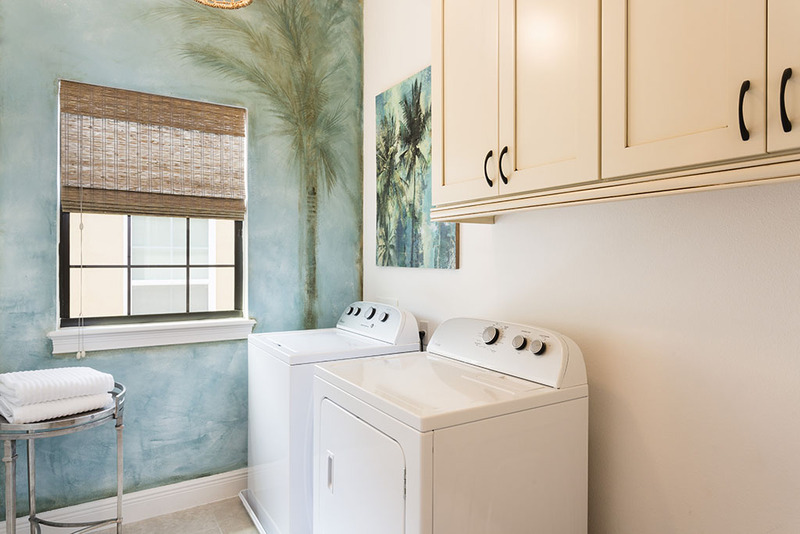 Enjoy the most uniquely themed family vacation home on Reunion Resort! 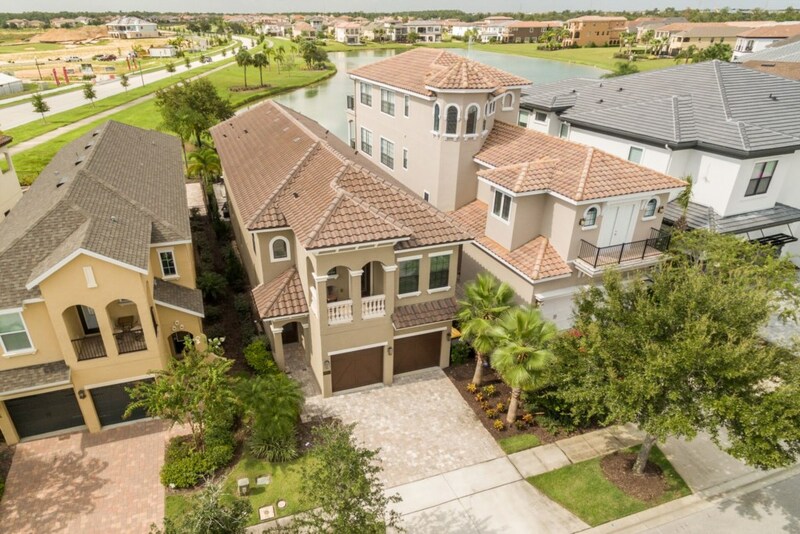 Overlooking the Golden Bear Drive lake at Reunion Resort, this luxury home is located in the heart of the Nicklaus course area of this luxury gated community. With a North West facing pool deck, the home is perfect for guests to return home and cool off in style, after a busy day at the theme parks! 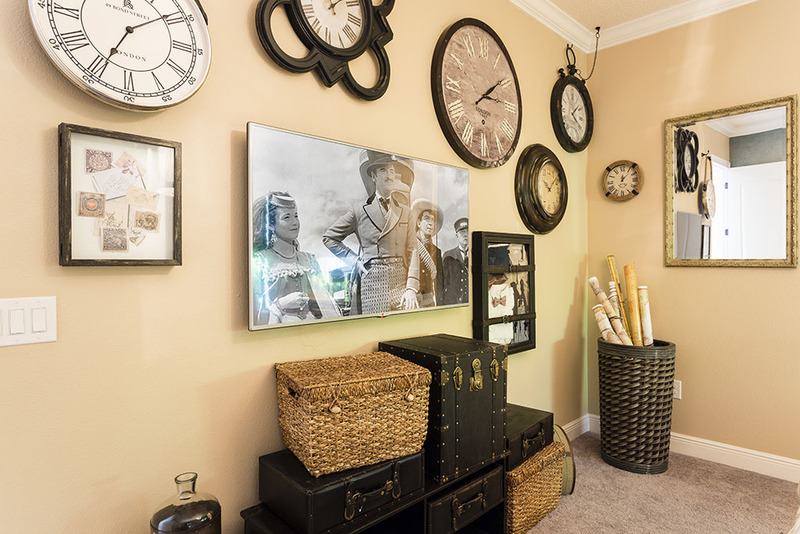 Walt Disney World is a mere 12 minute drive and all of the main attractions are within easy reach. 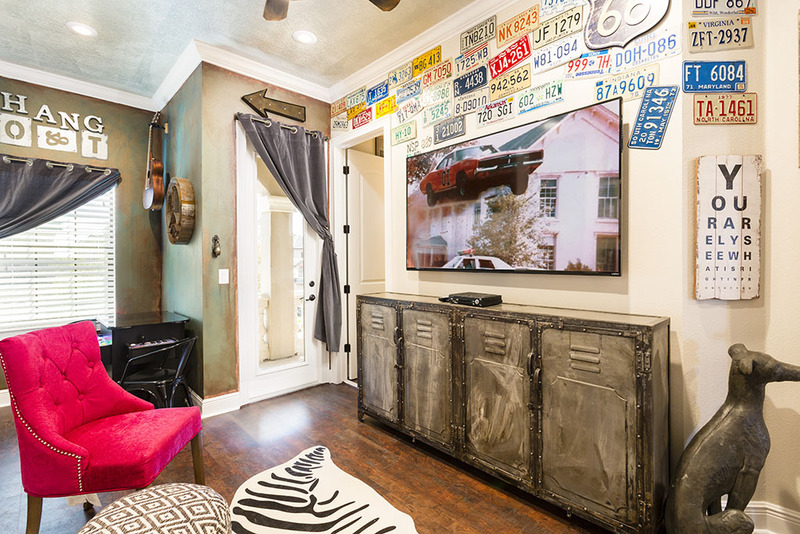 Smart TVs are provided in all bedrooms, along with large TVs in the main lounge area and the loft area of the home. 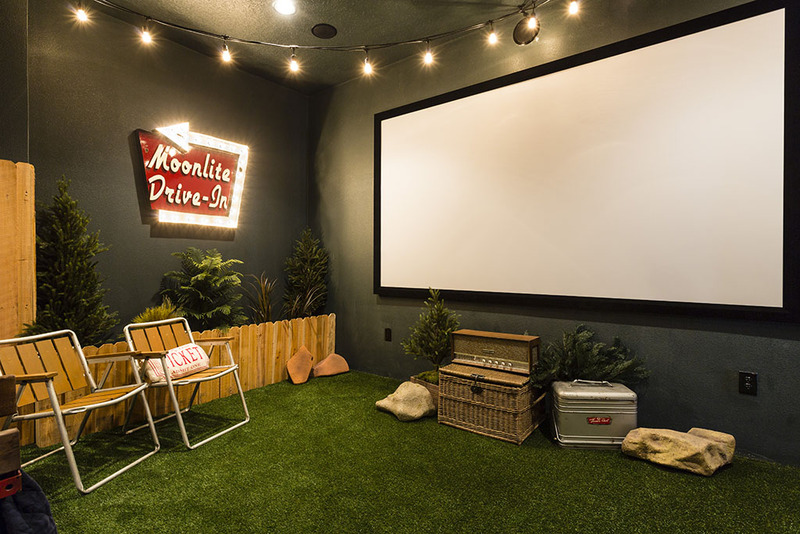 A stunning 'Drive-in' themed cinema room includes a classic truck bed, and a Chevy sofa to view your favourite movies on the large projection screen. 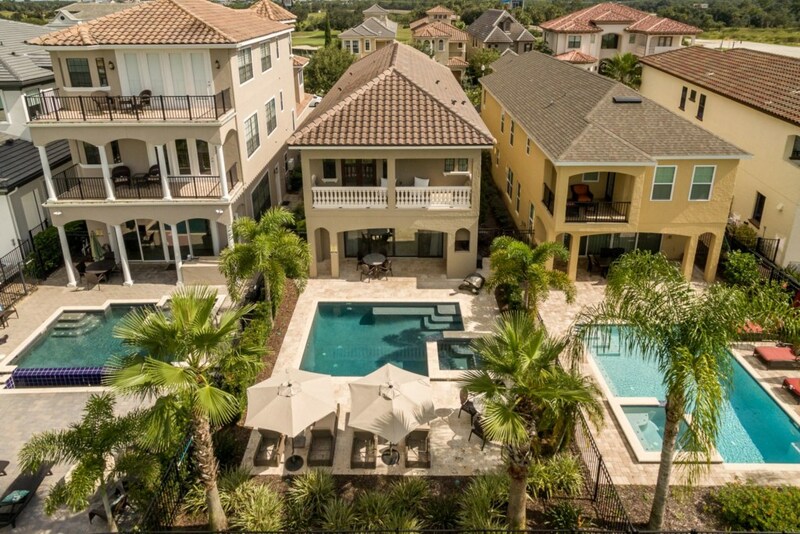 The luxurious Floridian style family living area overlooks the pool deck. 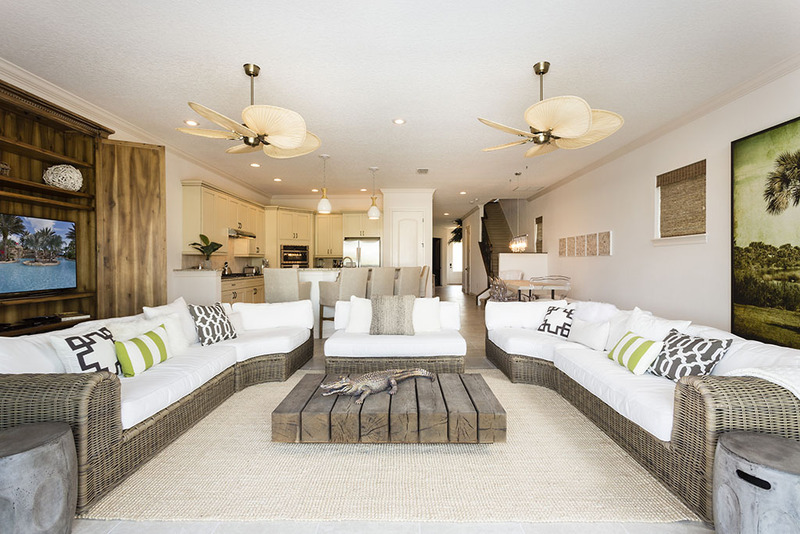 The 'rattan' style furnishings offer an island retreat ambiance, with driftwood themed furnishings providing a tasteful and restful haven for guests to enjoy their quality time together and watch TV. 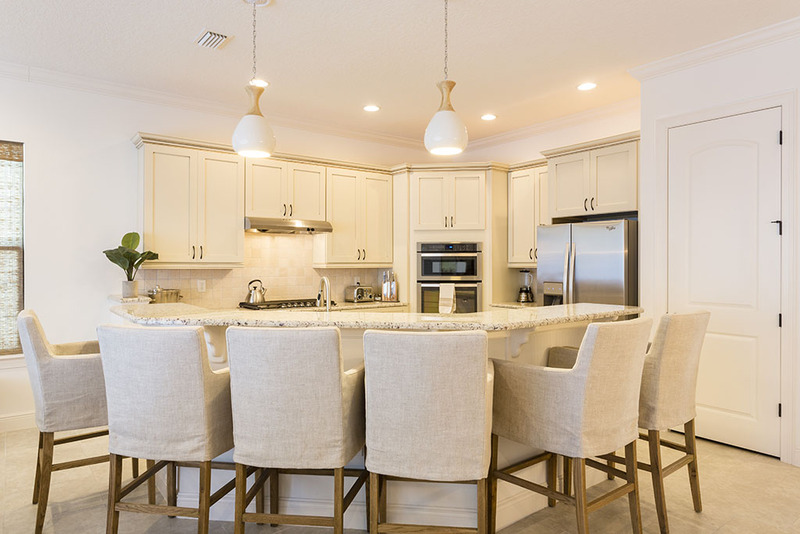 The fully equipped kitchen includes stainless steel appliances, granite counter tops and a 6 seat breakfast bar. 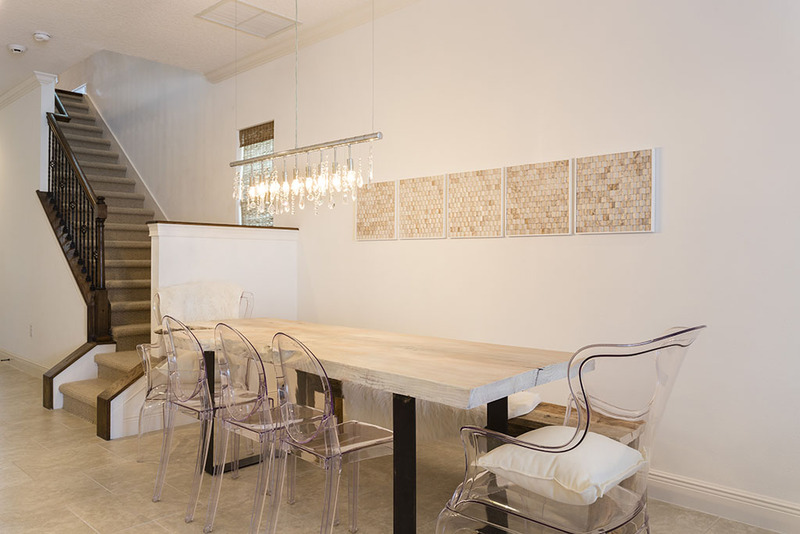 The family dining area skilfully fuses a blend of 'old and new' materials, with contemporary chairs and sun bleached wooden surfaces. 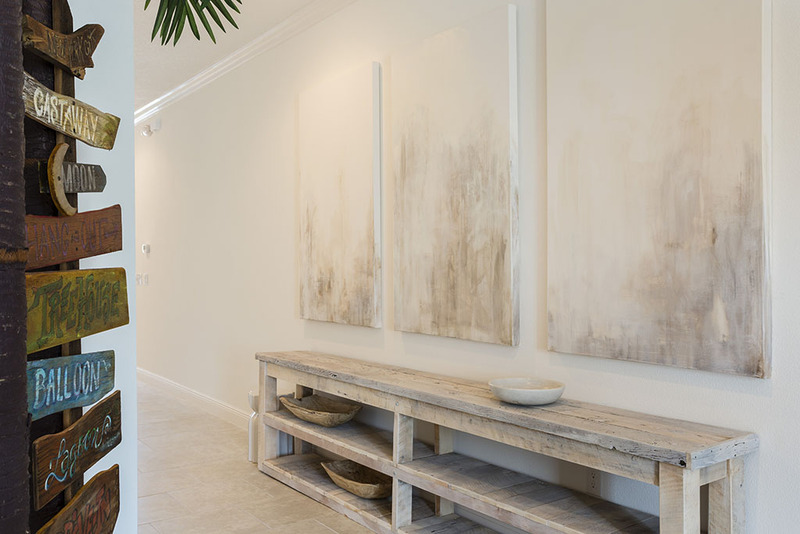 Stunning accents define this amazing home, and the theme throughout the house truly defines the property as something very unique and special. 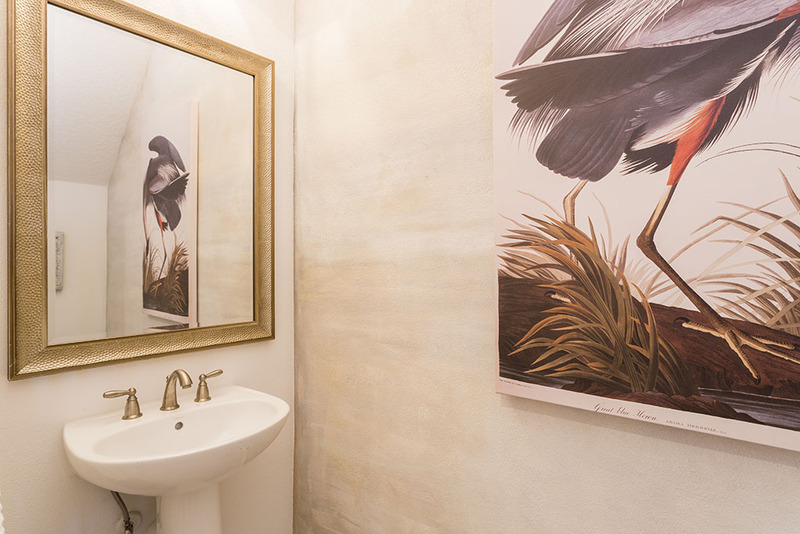 A prime location offers guests restful views over the lake and beyond. 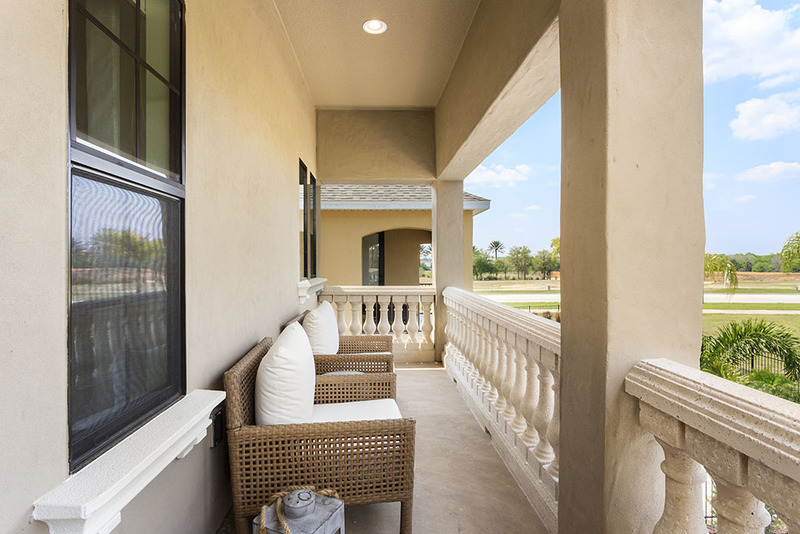 With balconies front and rear, the home offers those that love the Floridian weather, a perfect place to enjoy any part of the day. 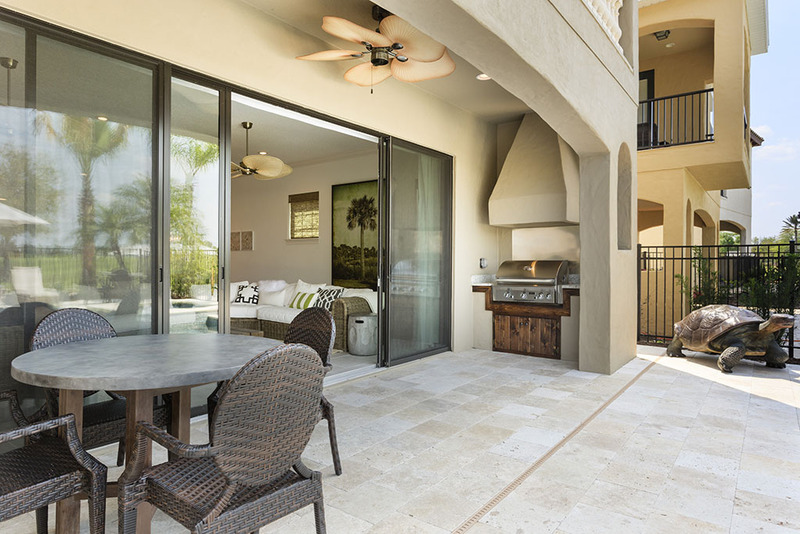 The covered Lanai is easily accessed from the large glass sliding doors from the main family living area, and includes a summer kitchen and two 4 seat dining tables. Sun loungers provide a fabulous opportunity to relax and enjoy every possible moment of your dream vacation in Orlando! 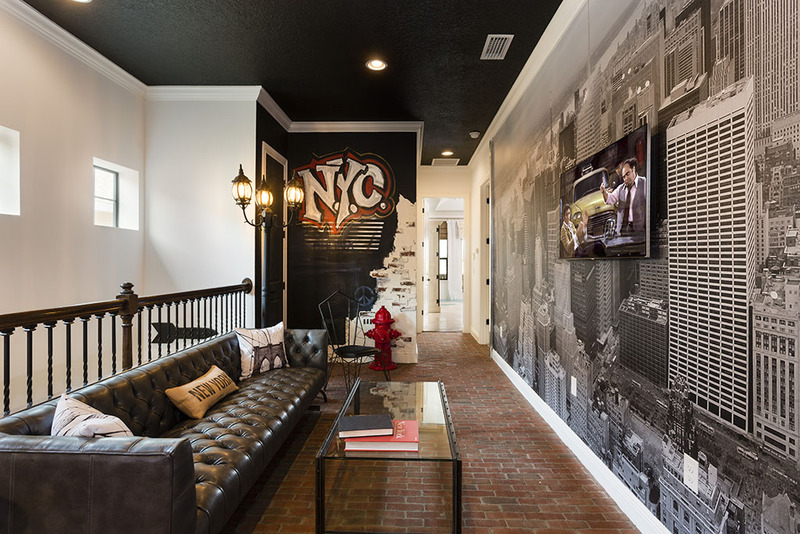 The New York themed loft area of the home includes a comfortable 'urban themed' seating area, plus large Smart TV. 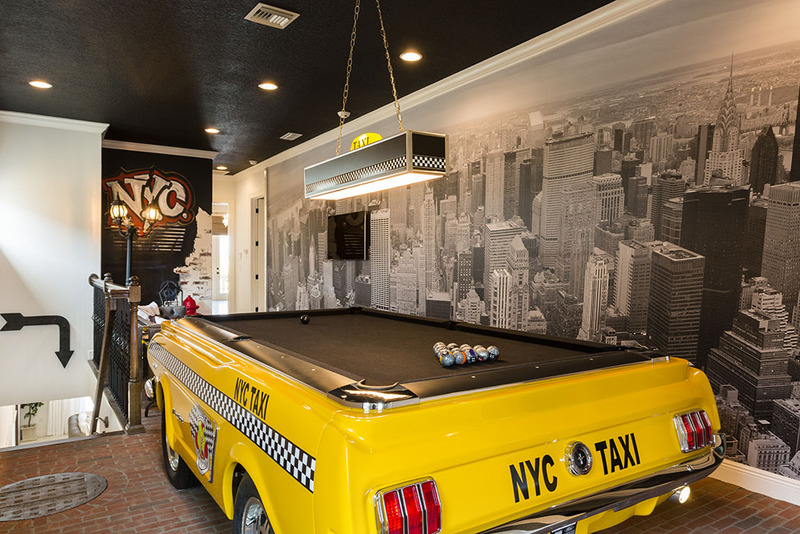 A stunning 'Marathon Yellow Cab' themed pool table offers an irresistible centre piece for guests to put their hard earned skills to the test! 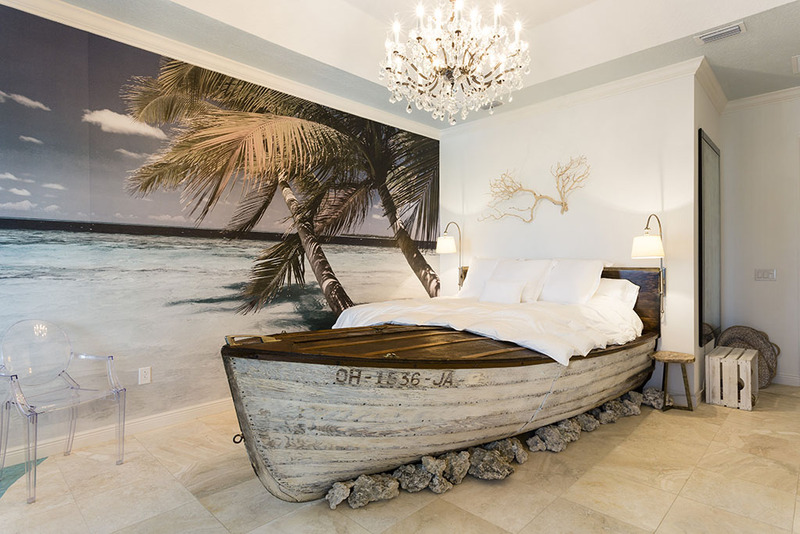 To the upstairs rear of the home, a stunning king sized 'boat' forms the charming 'castaway' themed bedroom, a perfect choice for dreamers and adventurers! 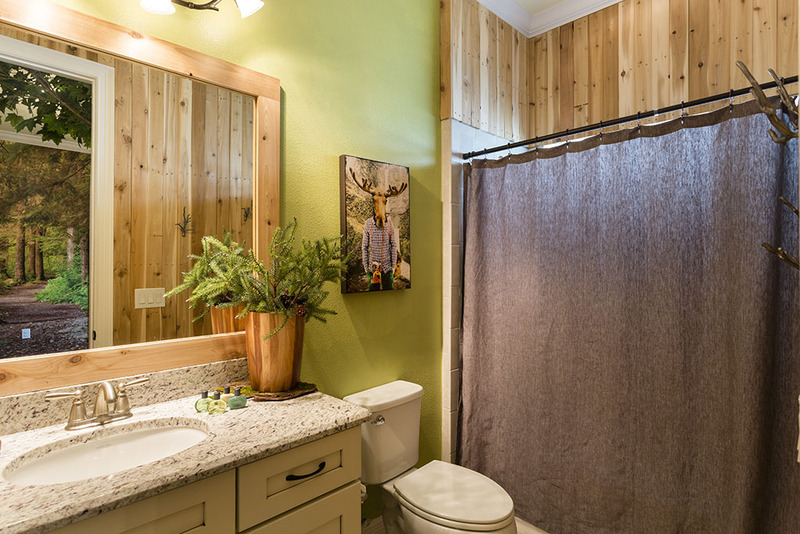 The room includes an en suite bathroom with a corner bath. 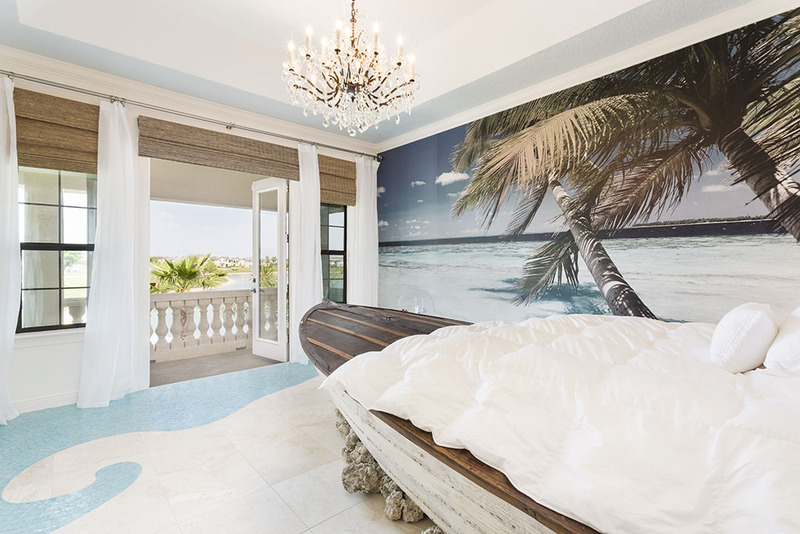 A king sized master bedroom offers a dreamy cloud theme that's perfect for travel fans! 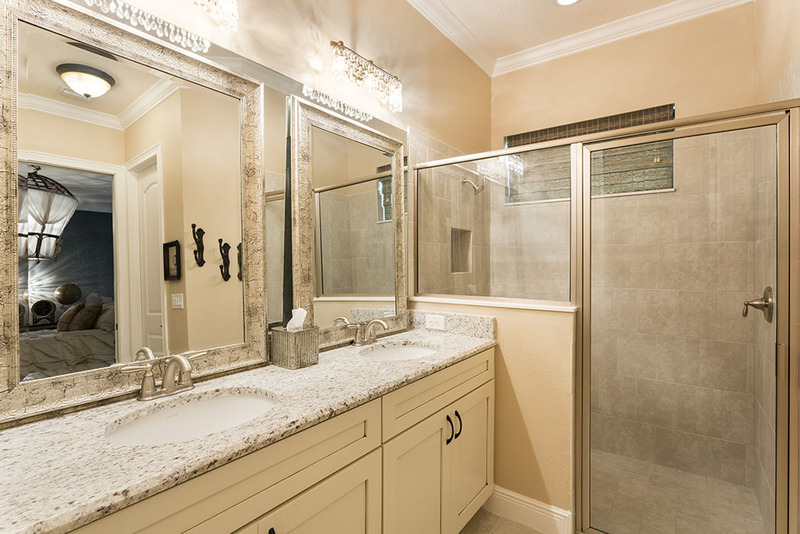 The room includes twin vanities and a shower. 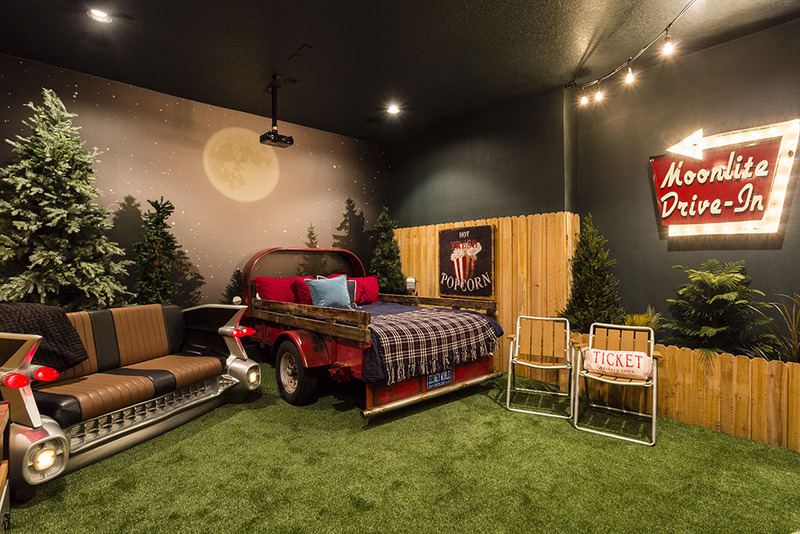 A large kids' bunk room includes two sets of full sized bunks has vintage car and route 66 theme offering 4x full sized beds in total. 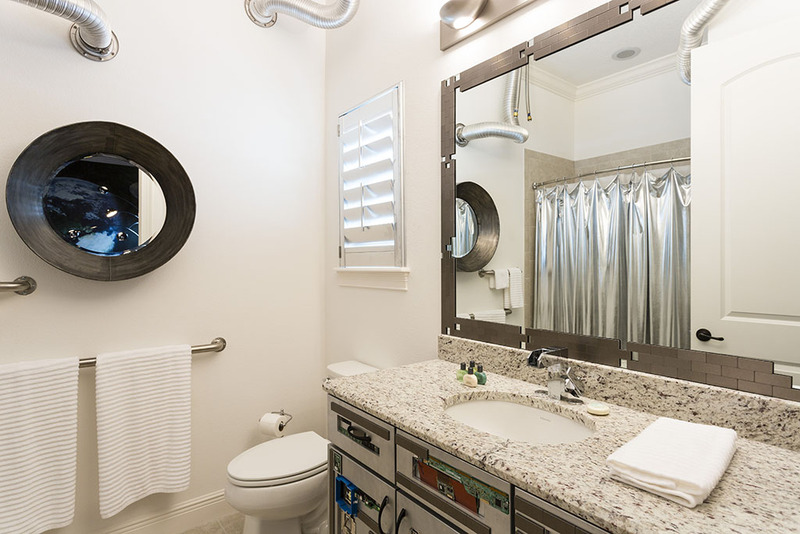 The room includes a bath shower combo en suite. 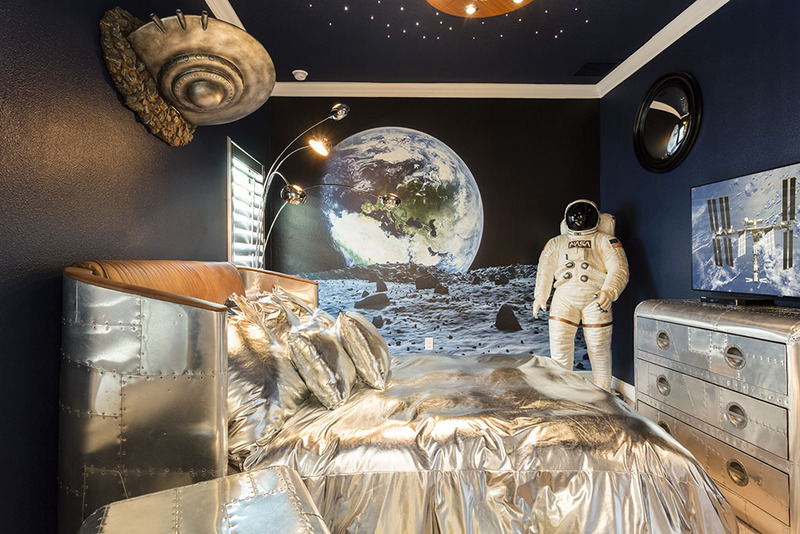 A queen sized space themed room offers a perfect haven for any astronauts in the family and includes some incredible accents that are out of this world! 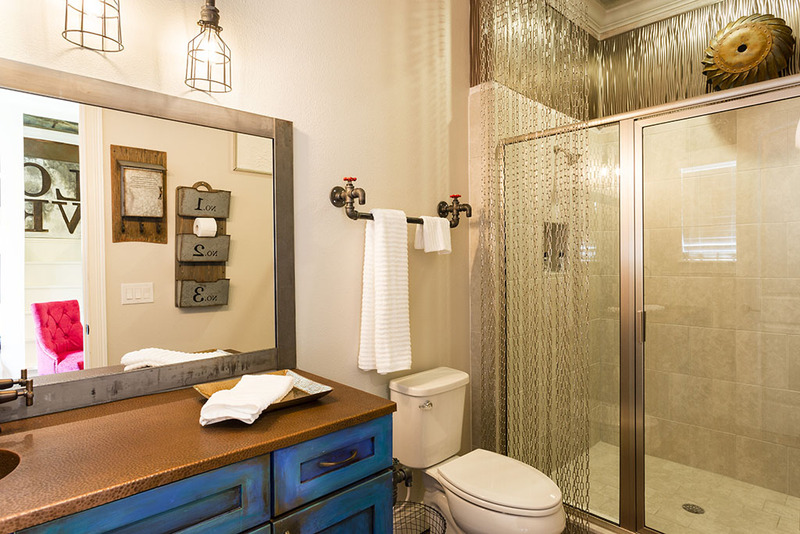 Includes a shower in the en suite to wash that space dust away at the end of every day! 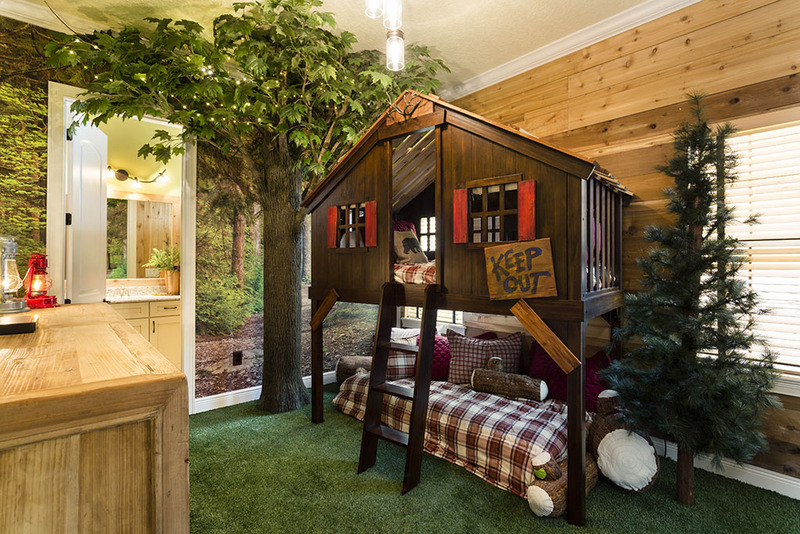 A dreamy 'tree house' themed room is perfect for the younger family members, with the fabulous twin bunk hideaway! 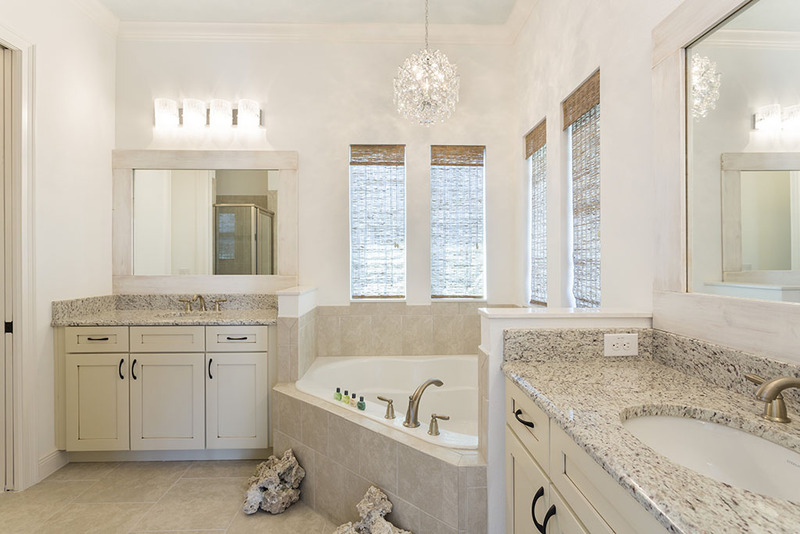 The en suite includes a bath shower combo.